Life doesn’t always go as planned. Sometimes it can be a traumatic event or loss that causes so much distress that a person is prevented from finding balance and peace. Other times, the stressors within relationships and families become too overwhelming to solve alone. Erin’s passion is to provide a safe space with the added support and guidance for people to learn new ways to work through these barriers and move life forward. Erin is a Licensed Clinical Social worker in Michigan. She earned a Masters Degree in Social Work-clinical specialty, from Syracuse University in 2000, and a Bachelor of Science in Psychology from Michigan State University in 1997. Erin has extensive experience with children, adolescents, families and individuals, using different treatment modalities depending on client needs. 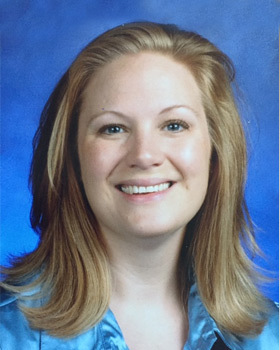 As a school social worker for 5 years, Erin conducted evaluations and participated in IEP meetings, therefore she can help families navigate the academic and behavioral issues that arise at school.